Readers will remember when I announced Ethan Perlstein‘s plan to crowdfund his scientific research. Well, since then, Ethan has been combining two of my interests: alternative ways of funding science and network science. In his attempt to achieve his goal of raising $25,000, Ethan has been attempting to understand what conditions and connections yield the most money. And network analysis is one component of this. 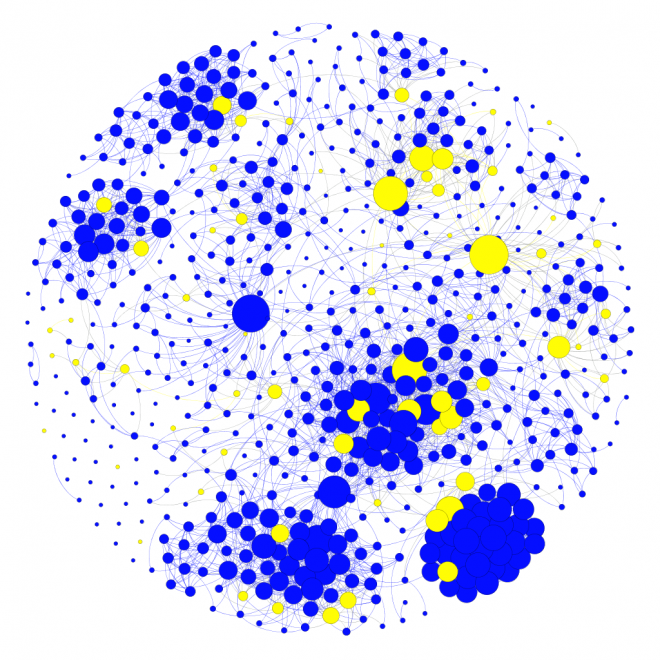 Yellow indicates a donor, while blue means a non-donor, and the node size corresponds to degree—the number of connections to others in the network data. As you can see, it’s a bit messy. There aren’t clusters of donation so it’s hard to determine the pattern of influence, if any. Nonetheless, it is gratifying to note that there is a generally high level of donation (about 10%). Whether or not there are clear results in all of these analyses, we need more of this. Those who are trying to crowdfund projects should continue to be open about how this process works and how it doesn’t. 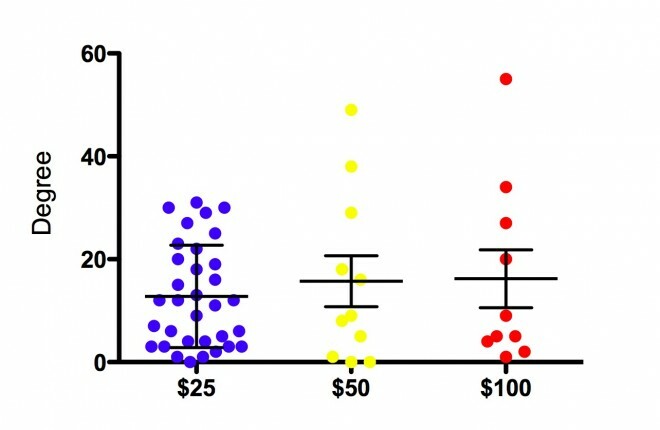 This is a great first step in trying to best understand how to fund scientific research in a broad-based way.